Students are more likely to succeed when schools address behavior and learning together. 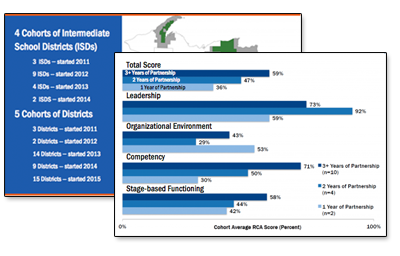 Michigan’s Integrated Behavior and Learning Support Initiative (MIBLSI) partners with school districts to help implement and sustain these supports for improved student outcomes. During the winter months, don't forget about our policy for event cancellations due to weather. See our policy section for full details. By using the MTSS model, MIBLSI can ensure practices are implemented and maintained with efficacy. We have a proven track-record of positive results in our cohorts. Leave us a message via our contact form, or view the staff directory to see the highly qualified individuals who make up the MIBLSI project. MIDATA is MIBLSI’s database. MIDATA helps participating ISDs, local districts, and schools gather and analyze data. Log in and review your dashboards and reports. MIBLSI partners with ISDs and districts throughout the state of Michigan.